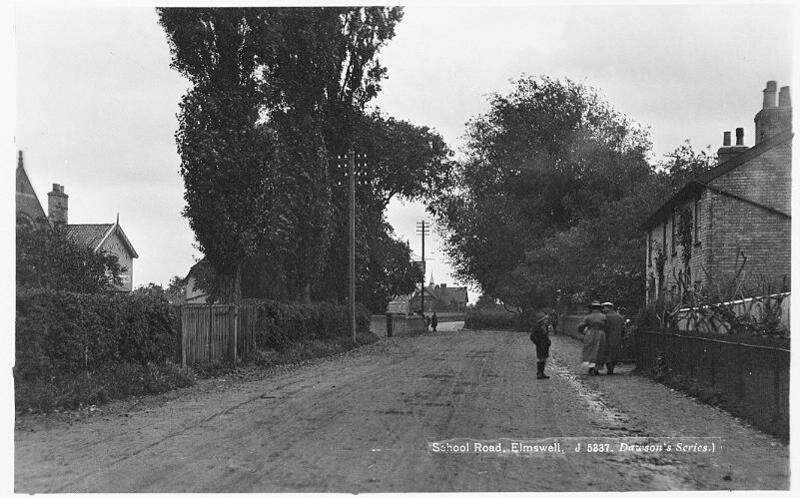 The same, 19 years later: telephone and electricity; gate into the field on the left, where the pond was. 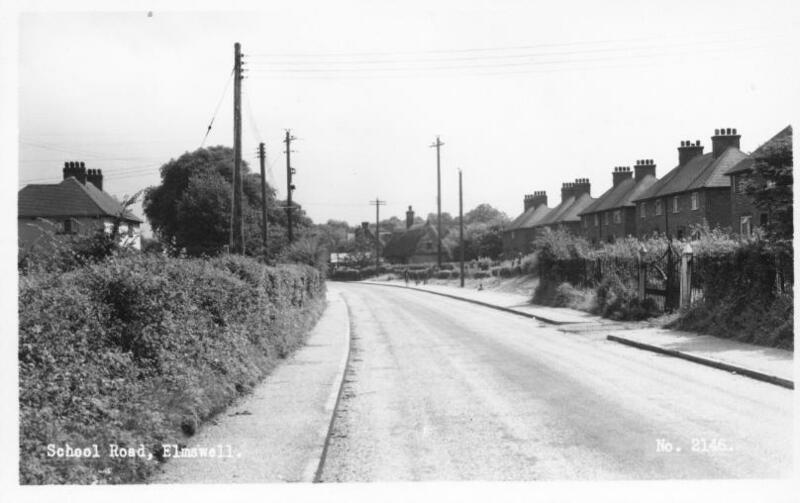 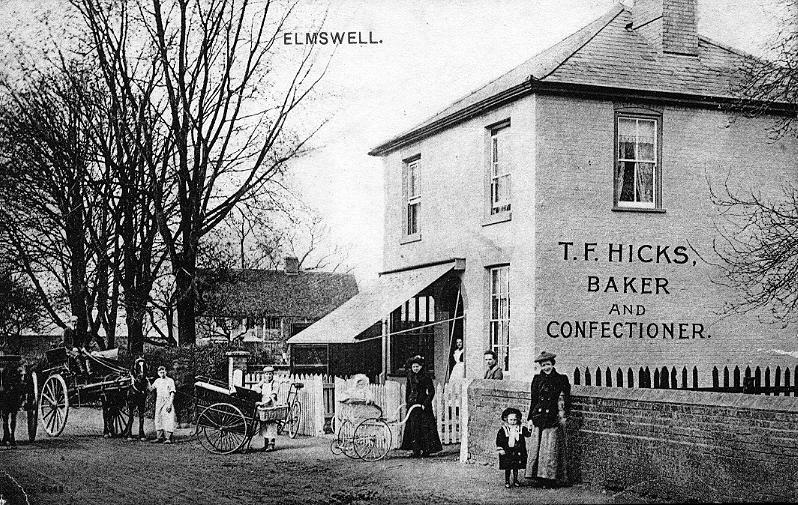 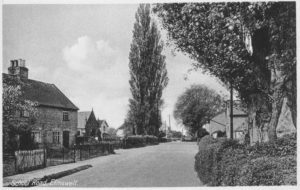 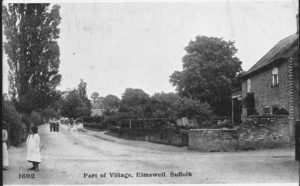 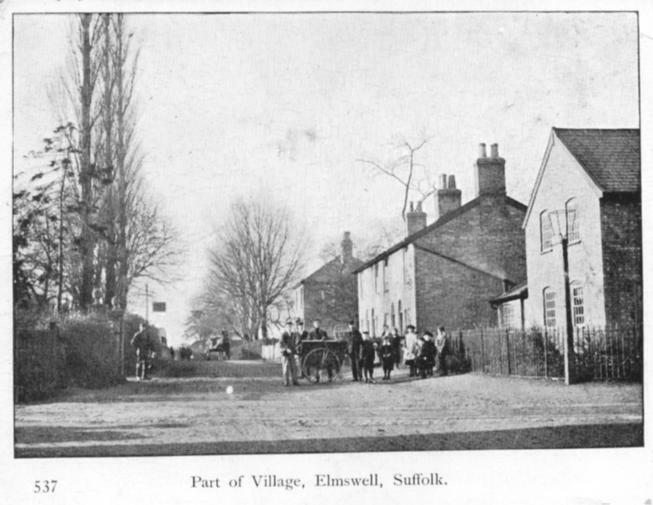 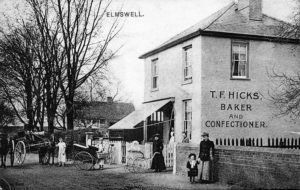 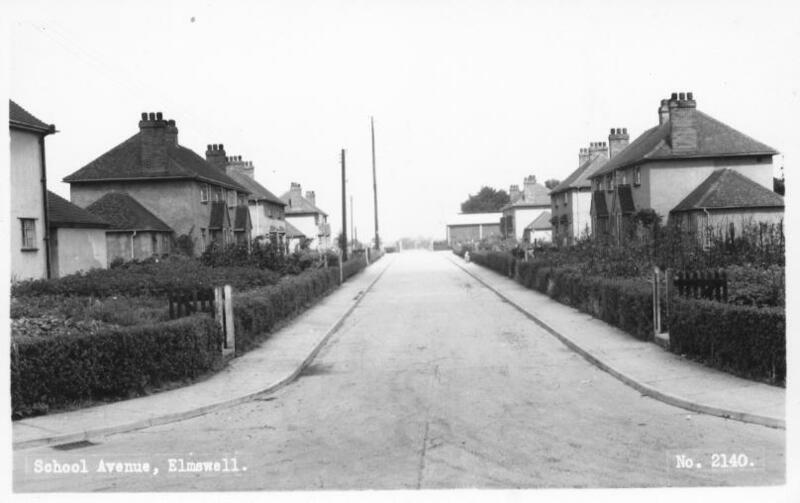 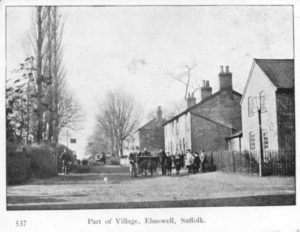 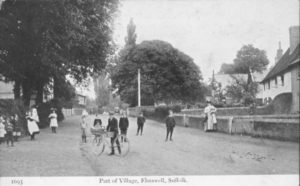 The thatched cottage on the left is no longer there. 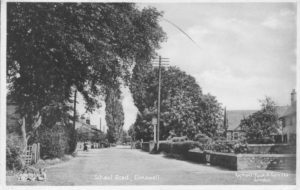 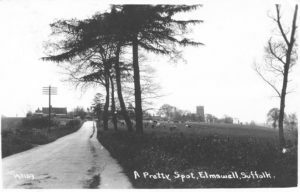 Then and Now Chapel (railings overgrown) and Tavern to the left, the school in the distance, Chapel Row on the right (the baker's shop is hidden by trees); telegraph poles but not electricity. 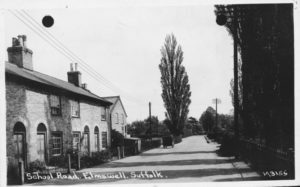 Willow House (formerly Garden House), dated approx. 2010 . 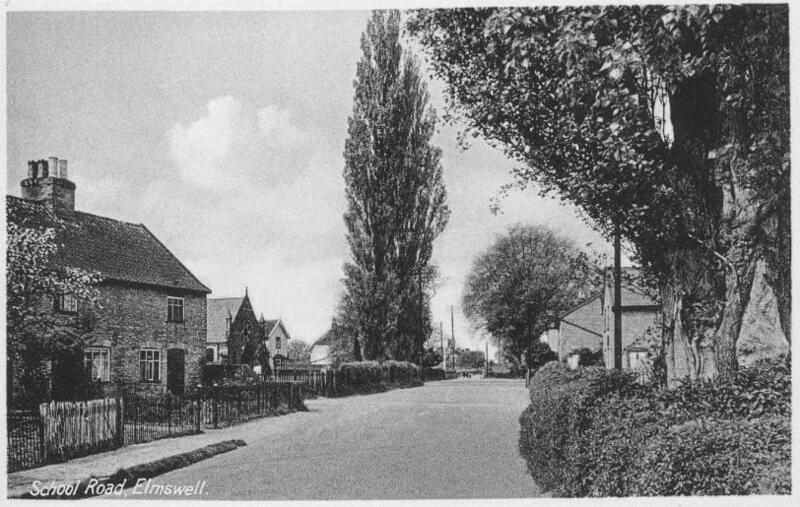 Garden House on School Road is now The Willow House where the Norgates live. 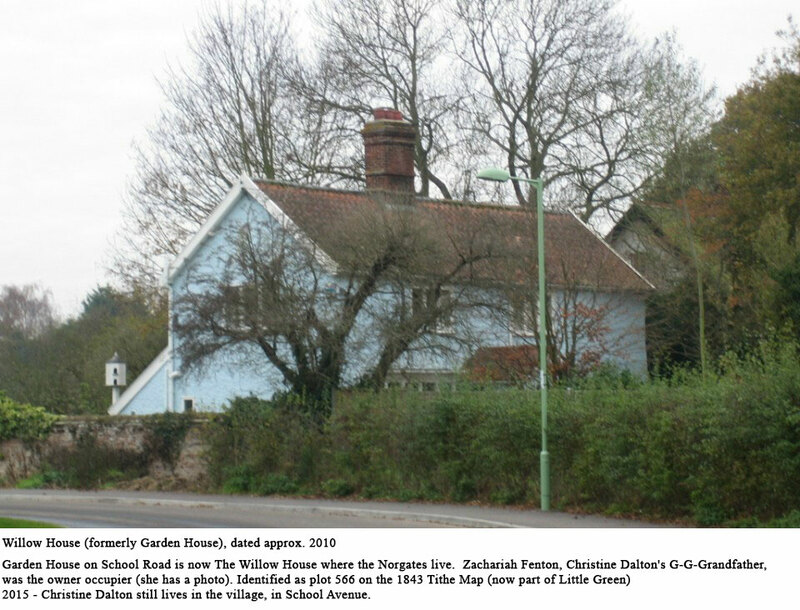 Zachariah Fenton, Christine Dalton's G-G-Grandfather, was the owner occupier (she has a photo). 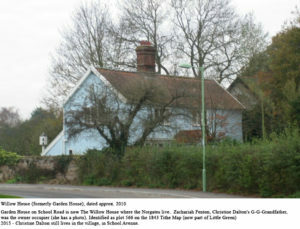 Identified as plot 566 on the 1843 Tithe Map (now part of Little Green) 2015 - Christine Dalton still lives in the village, in School Avenue.